Do you have a new or existing standard or specification to which companies are developing products? Or do you have third-party vendors (TPVs) developing software or hardware for your product? Do you want to make sure that these products actually function correctly with your product, ensuring your own customers’ satisfaction with your product? Are you rolling out a Smart Grid to your customers and want to make sure the devices that you’re going to be releasing work on your network? NTS can help. Design & Development: NTS can assist your group with the definition and development of test coverage, test methodology, test case development, test requirements, etc. Execution: NTS can execute the certification/compliance program to the specifications we’ve developed for you or simply to the specifications you provide. Management: NTS can also manage the program including providing full customer and technical support, a direct point of contact, determination of product pass/fail status, handle any appeals/requests for errata, etc. Participation: NTS can also participate in your group, including participating in working groups, meetings, conferences, plugfests, events, etc. NTS can design a custom certification or conformance program to verify that the third-party vendors are creating hardware and software that works correctly with your product whether that product is desktop software (like VoIP/SIP software), network management software or anything in between. Custom programs can also be developed for utilities to verify products before they’re released on their network, or chip manufacturers to verify that vendors integrate your chip and reference design correctly into their products. Each program is tailored for the specific needs of the standards group/company. The following are samples of the areas that NTS can test to verify compliance and certification with, for example, a web or client/server product. Is the documentation of TPV’s product easy to understand? Is the documentation complete (i.e. does it cover all features of the product)? Is it intuitive enough for a novice to utilize? Did it include an uninstaller? How was the online help? Were all configuration files changed correctly (if necessary)? Were any system files overwritten in the process of installation or un-installation? Is TPV’s product compatible with other products (depending upon criteria)? Do any of the features or interaction of TPV’s product(s) with other product(s) cause errors with the system or product-under-test? How easy was the installation? How difficult is it to use the product? Does the product perform functions as documented? How attractive is the interface? Do all buttons/dialogs/etc. make sense? Does the product meet standard performance guidelines? How well do the features work? Is the product compliant to the specifications as required to achieve Certification? How intuitive is the installation? How intuitive is the (software) GUI? In addition to assisting in the development, execution, and management of certification programs, NTS is also skilled in the development of automated test tools (both hardware and software based) which can be used to validate that products meet the certification requirements. For example, our SE Test test tool is regularly used by NTS and our clients to verify that their Smart Energy products meet the requirements for ZigBee Smart Energy certification. For more information, please contact us with your test and development requirements. Contact NTS if you are interested in having us develop, manage and/or execute a certification or compliance program on your behalf. 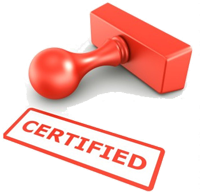 Our extensive experience with certification programs includes work with the USB-Implementers Forum, Multimedia over Coax Alliance, Sirius XM Radio, ZigBee Alliance, USNAP, and Microsoft. Let us help you set up a program to meet your marketing needs.